Chairman of the Board of Estonian Woodhouse Association, Kaarel Väer says that wooden houses sector has shown stable growth during the past years and is still at the top of wooden houses exporters. Despite the success, development work and mapping of new markets continue. „We have a remarkable example of development and expansion from Woodhouse Association member Harmet OÜ, to whom in person of Chairman of the Board, Toomas Kalev, an honorary title of „Person of the Year 2017“ was awarded,“ says Väer. Toomas Kalev has been an outstanding spokesperson to the general public for the sector in 2017. He has marketed the sector in Estonia and at foreign markets via sharing his experience of building the new factory. 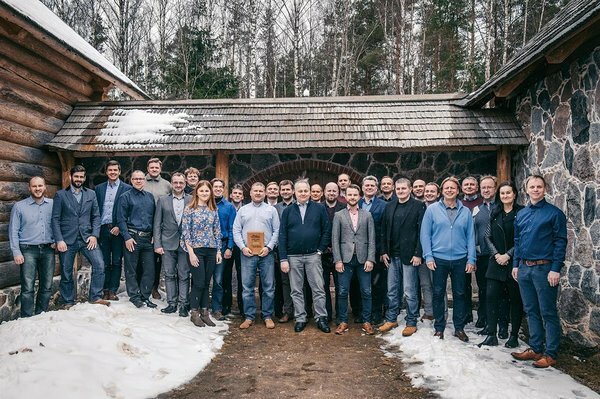 Väer is determined when saying that Harmet OÜ´s growth to become Estonia´s biggest wooden houses producer, their strategic decisions and future vision is the best role models for Estonian wooden houses producers. As a Chairman of the Board of Estonian Woodhouse Association, Väer highly appreciates that one of the most progressive companies in the sector is a member of the umbrella organization and wishes Harmet OÜ success and fulfilment of set goals. 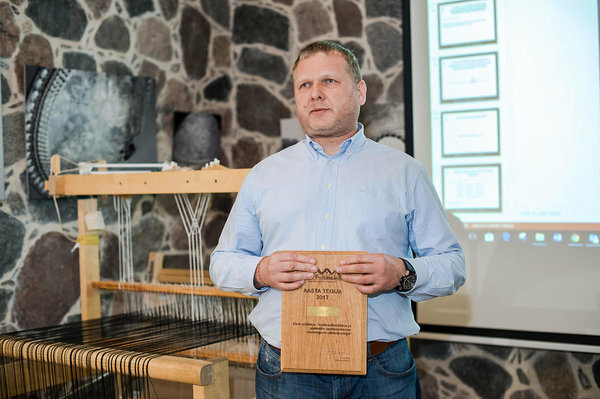 In addition to inner-sector recognition, Estonian Woodhouse Association also awards an organization that has supported the Association and its members. This time the recognition went to Enterprise Estonia. „We have been able to implement several large scale and expensive activities through the cluster development program of Enterprise Estonia. Those activities definitely support the competitiveness of Estonian wooden houses producers,“ assures Väer. As an example, Väer brings forward a certification process, where through the cluster program more than 10 wooden houses producers are applying together for ETA and CE certificates. Having those certificates guarantees better opportunities to manage at the construction market, adds Väer. „Different sector-wide networks work successfully precisely because of State support. The cluster program created by Enterprise Estonia hereby serves the right purpose and plays a valuable role. It is great to know that similar means are planned also in future.“ Woodhouse Association also appreciates Enterprise Estonia´s inner-organization export-oriented activities, for example, the existence of export councillors on different markets or organizing participation at trade fairs and business trips to look for co-operation partners. According to the Chairman of the Board of Enterprise Estonia, the Foundation sees clusters and professional associations as their main partners and the recognition of Woodhouse Association shows that Enterprise Estonia is walking the right path with services being developed and created for its exporters. „Companies expect first and foremost real activities that help them to get closer to potential customers. It is also our task to notice trends of different sectors at foreign markets and intermediate those opportunities to local companies. Here the biggest help comes from our export councillors, also from embassies and Enterprise Estonia´s networks at different markets,“ said Ivask. 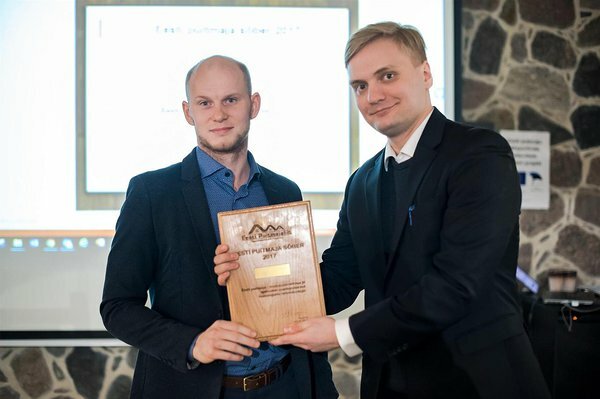 Estonian Woodhouse Association titles „Friend of Wooden Houses 2017“ and „Person of the Year 2017“ were awarded at the general assembly of Woodhouse Association in Estonian Open Air Museum on March 22. Enterprise Estonia´s title was received by Tanel Rebane, Director of Trade Development Agency.